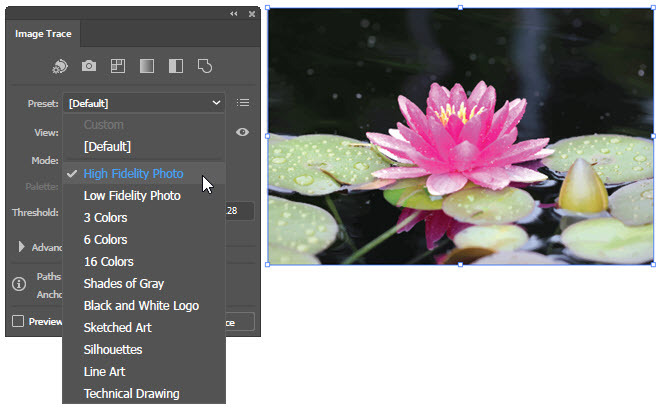 Photographic images are raster, or bitmap files. 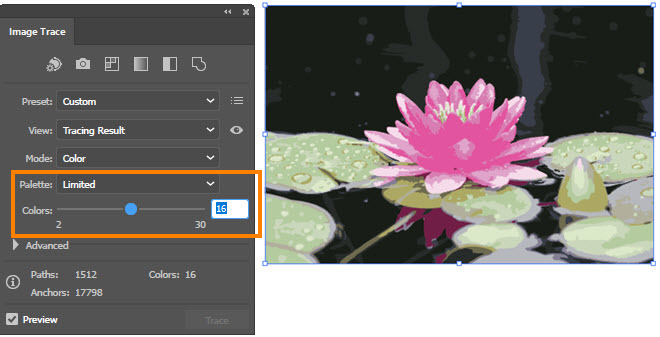 The Image Trace Panel in Illustrator allows you to convert those images into vector graphics, which are then resolution-independent and compatible for large-format output. There are a various options for controlling how realistic the illustration will appear. 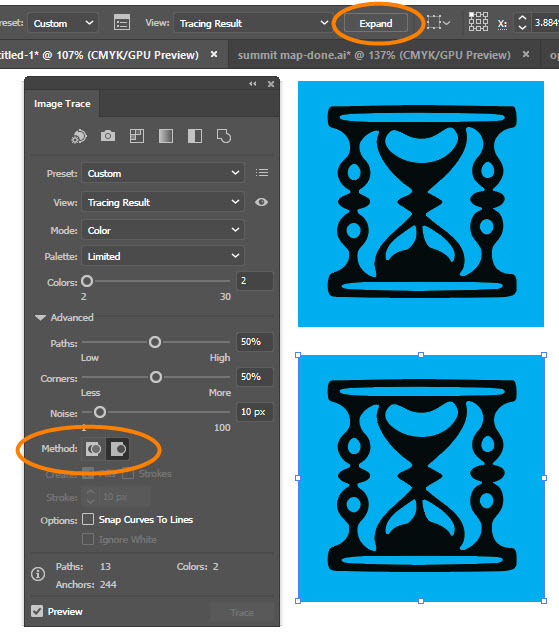 Image Trace is found in Illustrator CS6 and CC versions. Open the panel by going to Window > Image Trace. When the image is selected, click on a present and it will preview live on the artboard. There's also a Preset menu with 11 types of tracing presets. High Fidelity has been applied to this image. Next to the View menu there's a button you can press and hold to compare the tracing result to the original image. 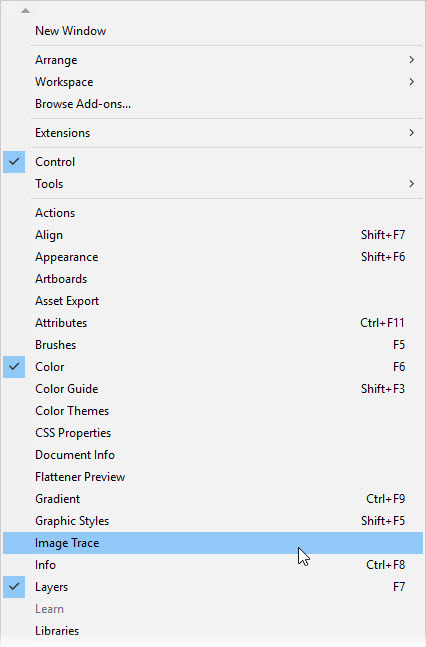 Palette and Colors let you specify the number of colors allowed. Paths: Controls how closely traced paths will follow the pixels of the original image. Lower values equal a tighter fit of path. Corners: Defines the minimum angle that can be traced as a sharp angle, as opposed to a smooth curve. More corners can be created by using higher values. Noise: Controls the smallest color area that can be outlined with a path. 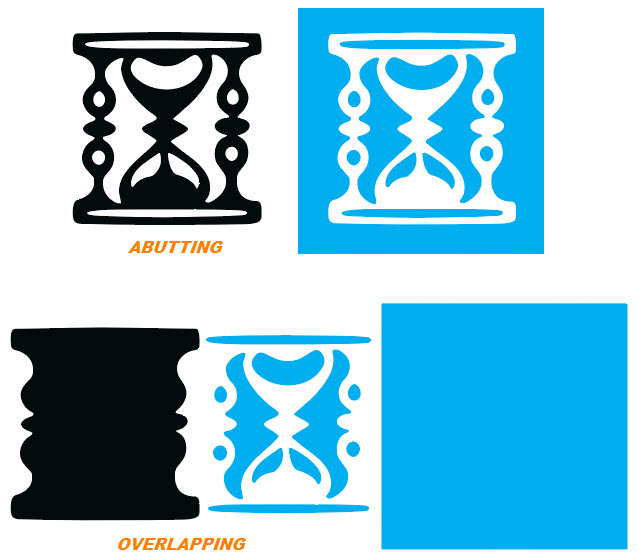 Here are two identical images that have been traced limiting the colors to two, and using different methods. 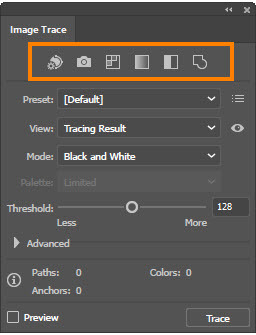 To manipulate the images after tracing, go to the Options Bar and click Expand. Using the Group Selection Tool, here the paths of the two traced results have been pulled apart.